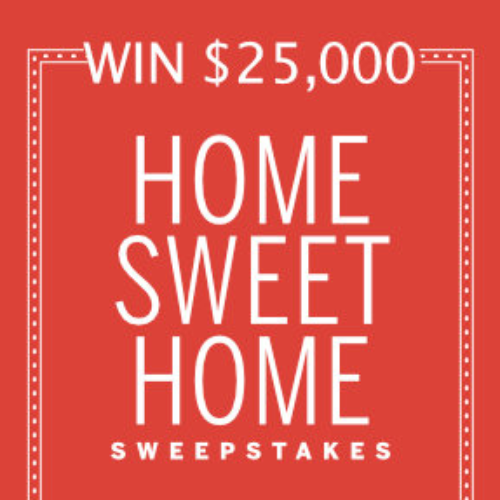 You can enter the Home Sweet Home Sweepstakes from Southern Living for your chance to win a check for $25,000. You can use the money for home renovation, a down-payment on a house, or just anything that you want or need. Entry ends May 31, 2019. Would Love TO win This.Need Bathroom All Updated, Kitchen cabinets and all In the Kitchen.Also Some Walls Need Repair And Carpet.I Really Need This For All That Needs Done Will Take All Of This Prize And I Just Don’t Have The Money.If I Could Be So Blessed,I Would Souly Appreciate This So Much! Just bought a house a year ago and we need to do some work inside and outside of it. When we bought the house, we had money put aside to do the work, but found out 2 months into buying the house, we had to put in a new a/c unit, hot water heater and furnace. The money from our savings went for that and because I am retired due to health problems and my husband works part-time because of health problems, we haven’t been able to save money to do the work. A win of $25,000 would be an absolute dream for us. I love Southern Living and winning 25k would be amazing! I want to win $25K from Southern Living. I would love to win 425K from Southern Living.